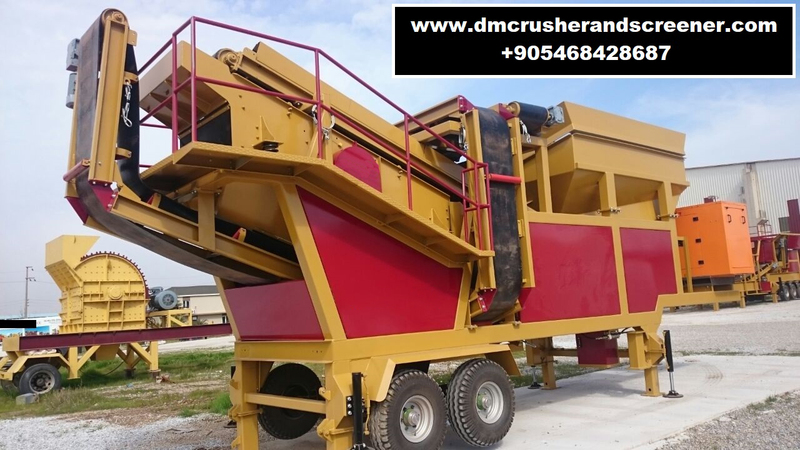 DM 607 – Mobile Screening Plant New Technology The entire system of the DM 607 Mobile Screening System is assembled on a single platform and can be transported with a truck. Designed to be installed within an hour .Can do the work alone of the classical plants. We are currently the most preferred machines in the world and Turkey market. – The dust suspension control system prevents dusting by spraying the high pressure water nozzle to press the dust on the main conveyor. – Electric Motors IE2 is a highly efficient type. – Conveyor belt systems are suitable for long use with 10 mm thickness with EP 125 and EP 160 cortex. – Bearings are SKF or equivalent. Total Engine Power: 21 kw Final Product Size: In Desired Sizes The capacity is variable according to the material feed and final product. Dimensions to be broken and It is 60 – 130 tonnes per hour capacity.